Roz was a gifted saxophone player with a beautiful tone and ability to read anything that was put in front of her. 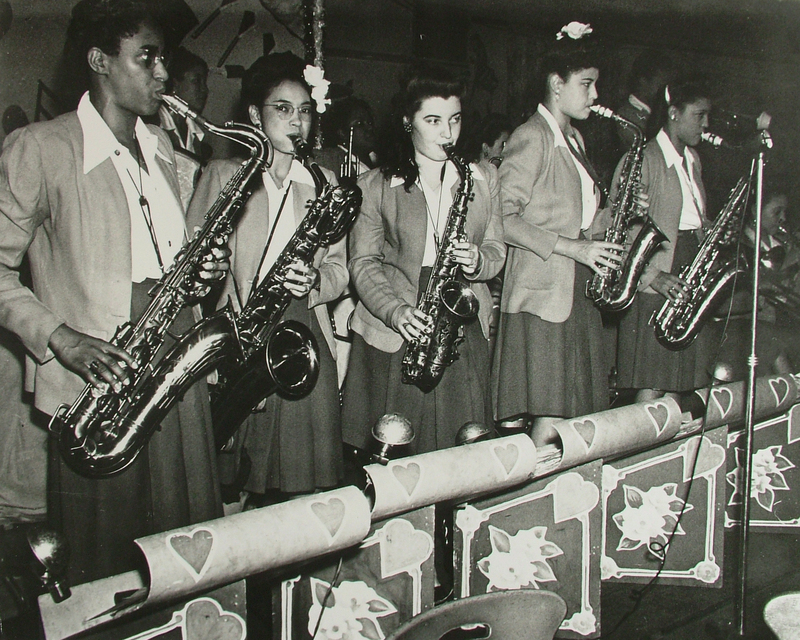 From the time she was 16, she was being wooed by big bands, but her parents wouldn’t let her go out on the road until she finished High School. 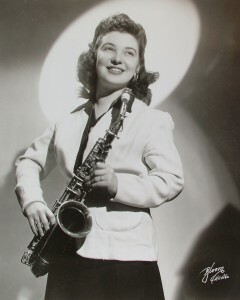 Her first all-female big band job was with the Ada Leonard Orchestra, but she quickly moved to the International Sweethearts of Rhythm when they needed a sax player. 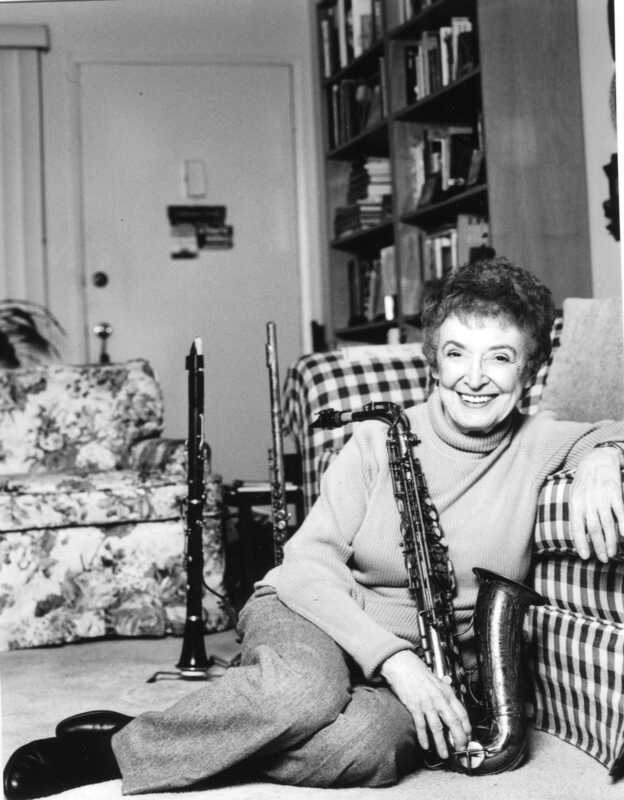 As one of only two white girls in the band, she learned firsthand about the evils of Jim Crow and the dangers of racial mixing in the South. Often harassed, and once jailed by Southern small town sheriffs, Roz formed a bond of friendship with her black band sisters that still lasts today. She toured Europe with the Sweethearts during the war and stayed with them until 1945. 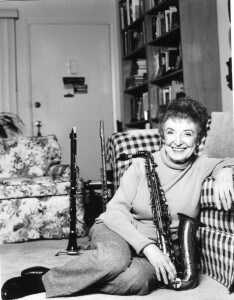 She then settled in Los Angeles to raise a family and continued playing in local dance bands and orchestras until recently.